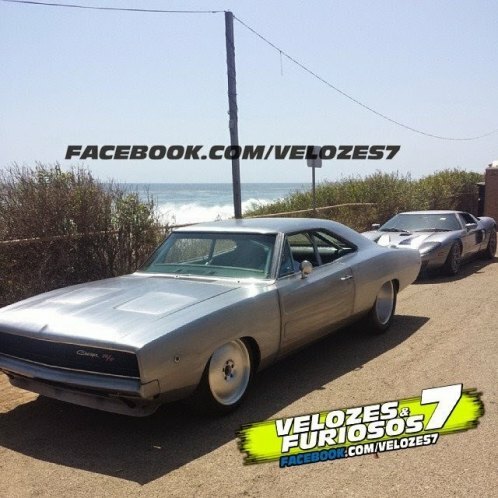 Cars spotted at the set: A green Dodge Challenger (the new model), Dom's black Dodge Charger, modified with 4x4 tires, the same as a grey Plymouth Cuda. Three black Mercedes Benz E55 AMG, some modified off road cars, like a grey Jeep, a black Mercedes G and an unknown buggy. Also a blue Subaru Impreza and an unknown black bus. Here are some pics of those cars (not all them). One of them looks like a camera car and it will not appear in the movie, I think. They are all S-Klassen (W220). The grey car isn't a 'Cuda, it's a 1967 Camaro. CougarTim wrote The grey car isn't a 'Cuda, it's a 1967 Camaro. Yes, it could be a Camaro... it's difficult to say, because it's heavily modified, but I think you're right. It's a 1967 Chevrolet Camaro Z28. If you'll look closely at the photo of the grey car you can see a Z28 badge. 2011+ Subaru Impreza WRX STi (blue) - probably Brian's car. 1970 Dodge Charger R/T (black) - Dom's car. 2013 Maserati Ghibili (grey) - spotted in LA, probably will be driven by Roman. 1989-1994 Nissan Skyline GT-R R32 (black) - spotted on set in LA, I'm 100% sure it's Brian's car. 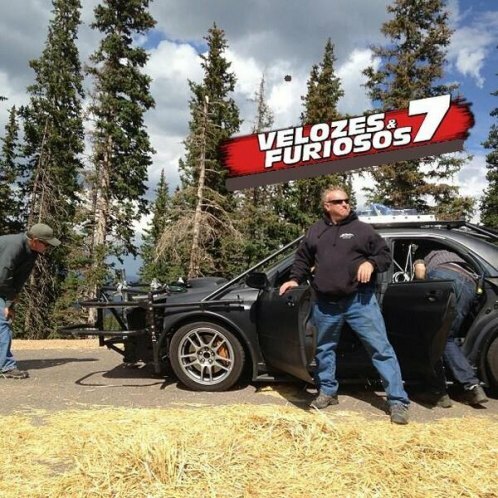 1999 Nissan Silvia S15 (grey) (spotted both on set of fake Tokyo and on Pikes Peak) - probably Sean's car. 1970 Plymouth Barracuda (black) - the same car that appeared at the end of F&F6, several copies of the car were spotted at the preparations for filming. Also a W220 Mercedes-Benz S-Class, armoured Jeep Wrangler, several Cadillac Escalades with chrome wheels and a modified Mercedes-Benz G-Class. Why would they make those cars with 4x4 wheels and chassis. doesn't feel right. they should use pick-up trucks. XeroRamCharger wrote Why would they make those cars with 4x4 wheels and chassis. doesn't feel right. they should use pick-up trucks. Yes, I also find it stupid. 4X4 wheels in muscle cars? It's an strange idea! But this is Fast & Furious and they will be destroyed anyway. I don't know. Maybe they're replicas? I've found some images in youtube: They have VERY bad quality, but they are shots from the final film. It's from an exclusive clip shown only to a very few people. Someone filmed it with a phone and posted it on Youtube. As they are images from the film, I think we can list them. 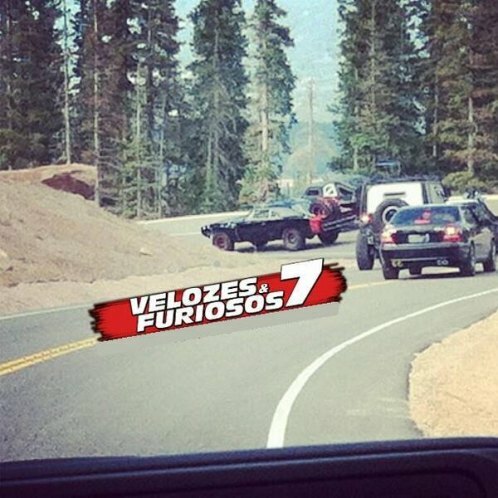 Paul Walker's final F&F movie it seems. Terrible news... hard to believe. R.I.P. What will happen with 7 now as well as the rest of the series without Brian O'Conner??? Quote from a scene in "Fast Five:"
Brian O'Conner: "I can't remember my dad. He was never there." Dominic Toretto: "You're not going to be like that, O'Conner." I hate to believe that THAT'S how it's actually going to happen with Brian's son, Jack, since Paul Walker died yesterday. I guess that's what will "run in the family." R.I.P. Paul Walker (1973 - 2013). RIP Paul Walker. Died inside a red Porsche Carrera GT. In case you didn't know, Paul Walker had a daughter. The person it's really happening to is her. According to Wikipedia, Paul Walker's daughter, Meadow Rain, lived with her mother/his one-time girlfriend, Rebecca McBrain, in Hawaii for 13 years, and then moved to California in 2011 to live with Walker. That was 2 years before Walker died, so I think Meadow had a good amount of time to know her father. I was just talking about the characters in the films. Brian O'Connor's father was never with him even before when the first "Fast and the Furious" took place, and Jack O'Connor was only a newborn who first appeared at the beginning of "Fast & Furious 6." Many years from now, Jack could start looking back to his early years, and wonder if he ever even knew his father. I was just making a connection between a fatherhood conversation scene in "Fast Five" to what will happen in the future due to Paul Walker's deadly car accident. Last time it's been discussed about the production for "Fast & Furious 7," it has all been shut down for the past 10 days (December 4, 2013), because of Paul Walker's death on November 30. I hope the halt is only temporary. If it is, then here's what should be as simple solution on how to make Lucas Black (a.k.a. Sean Boswell) get around Paul's death: The actor died in a car accident, but to avoid controversy, or something, they should make it so the character, Brian O'Connor, died of something else, such as a heart attack. Then they should set up a chain reaction that leads the supposed plot of what was going to be "Fast 7" into the ending scene in "Tokyo Drift," thus making Lucas Black/Sean Boswell officially replace Paul Walker/Brian O'Connor's place in Vin Diesel's/Dominic Toretto's partnership, including the quote "This ain't no ten-second race./I got nothing but time." Then, after that scene with that race starting, then they go back to the actual plot of the supposed "Fast 7." 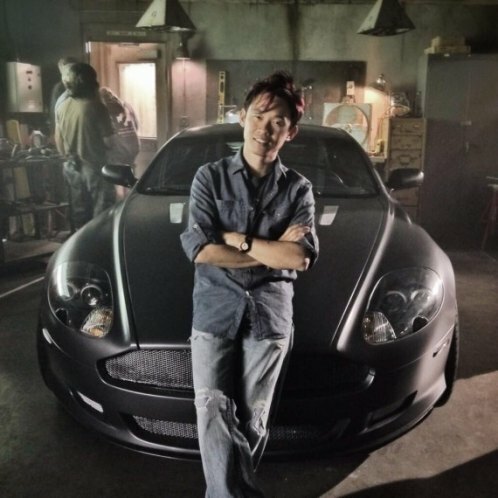 That would officially bring the franchise full circle, and finally connect all of "Tokyo Drift" pieces to rest of the puzzle that is the "Fast & Furious" franchise. That's not a bad idea if you're searching for a simple solution on how to work around Paul Walker's death (and last I heard, they already worked on a huge chunk of the film before Paul died), don't you think? They were maybe going to do it anyway. 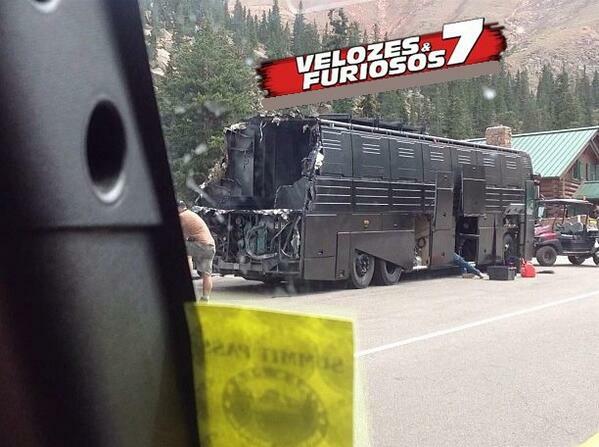 But now Walker has filmed most of his scenes in Fast 7 and they are changing the plot. Black was going to be in the movie too, and he also started filming before Walker's death. I think they will keep Walker's scenes but also changing the plot because he didn't end his job. Action scenes will be easy to edit (they had filmed at least two car chases in Colorado and Atlanta and I think they had to film another one in Dubai) putting shots from deleted scenes with Paul at the wheel and changing the green screen scenary, but if he hasn't finished dialogue scenes that will be harder to change. 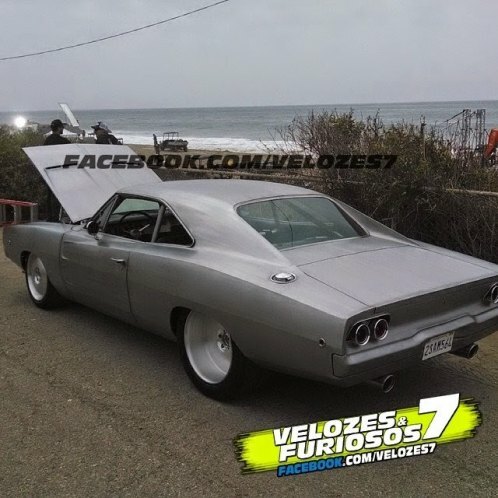 I just found a page with lots of photos from the set: a Nissan GTR, some Plymouth (Roadrunner and Cuda, I think), Aston Martin DB9, Lykan HyperSport, Dodge Charger R/T (of course), Ford Crown Victoria and Dodge Charger police cars, Lamborghini Gallardo Spyder, Ford GT... and a lot more! Can you identify them? https://www.facebook.com/Velozes7/photos_stream And, also, the last one "only" had 124 different cars. Do you think this one will top it? Looks like the page also sells shoes and similar things, so the car photos may be difficult to find sometimes. 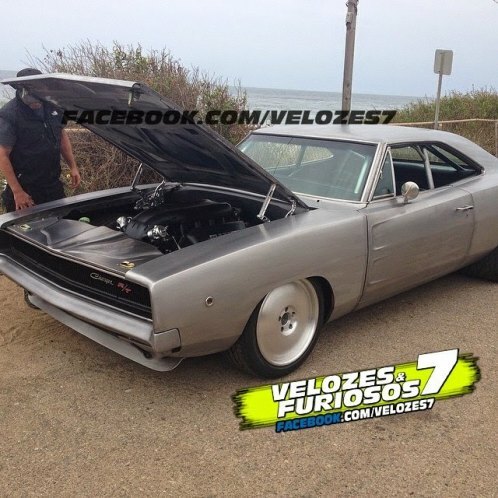 After "Fast 5" and "Furious 6", they could do "& 7"
I also thought they should have gotten a more original title instead of repeating the same formula of the previous one... it`s like the series is called just "furious" and they have removed the word "fast" of it. Abu Dhabi Police vehicle in movies. 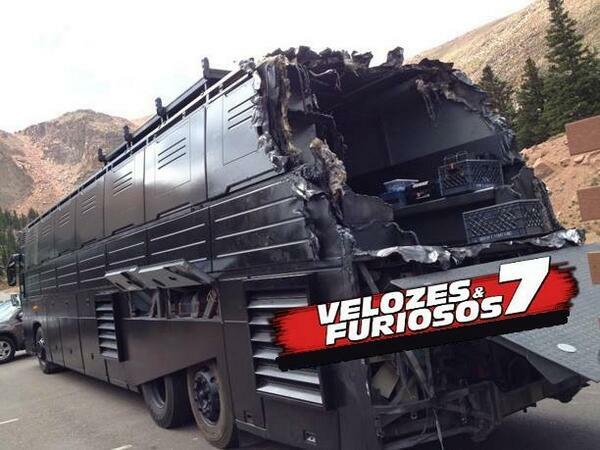 I suspect those are local police vehicles being used for traffic control, not actually movie vehicles. 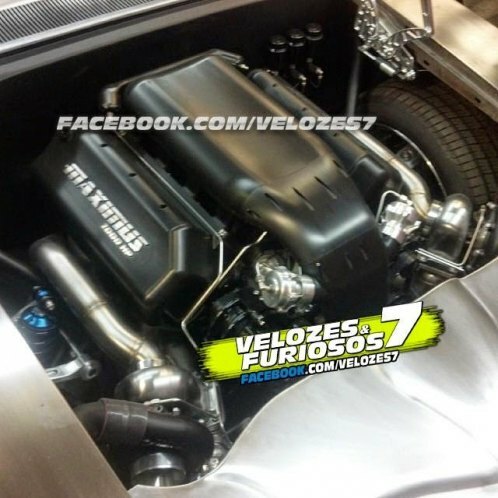 Ford_Guy> Fast & Furious 7 Car chase Filming in Abu Dhabi. Nice! And in the bottom left picture... is that a Ford GT? I was hoping that Walker's death will stops this conveyor. Sorry, it seems there's no emergency brake on the F&F train. At least there was one on the Police Academy train, and thankfully, an emergency brake was added to the Taboo train in 2006, after 22 parts and 26 years! Then you won't like these news, Nightrider! Link to "theweek.com"
As Charger is not a K70, alot of replacement parts are avaliable. They just asssemble new one. New trailer coming out tomorrow, I think. Yes, it's an Aston Martin DB9, already listed. ^ Same here. Went to the movie this morning, (1st day 1st show, as is the rule) and really enjoyed it. 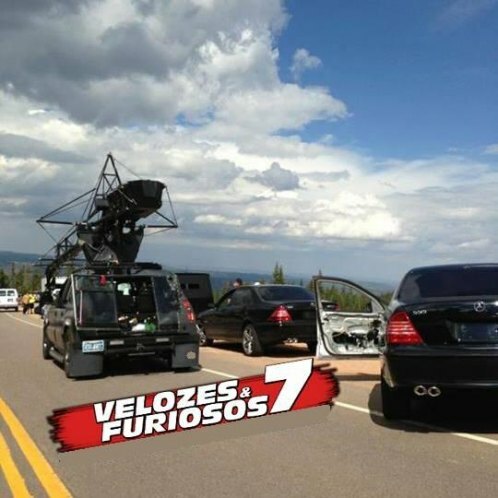 The stunts were over-the-top and the physics unbelievable but I guess for a Fast and Furious movie, we could forgive that. Brian's entry was by far the funniest scene in the movie! But the ending, though.... left me speechless. Everyone in the theater was shouting and applauding and I feel that this will be a common thing for every watcher. Loved it to bits! Btw, that white Supra I was talking about above is used at the very end along with some other cars like a Ford GT, an SLS AMG and Dom's silver Charger. The Supra paired with Paul's tribute was awesomeness level: 9000! Also a Ferrari 365 "Daytona" in that scene. Very cool movie, I agree. Paul's "retirement" was well done and respectful. aolju wrote Also a Ferrari 365 "Daytona" in that scene. Very cool movie, I agree. Paul's "retirement" was well done and respectful. In which scene? Sorry, I can't really remember as there was a lot to take in. And any clue as to which character is supposed to drive it? As for the Supra, that was Paul Walker's actual car in real life, I read somewhere today. If thats true, what an awesome tribute! And an awesome car choice as well! I think it was in the final beach scene as well. I just saw this movie last night. if you like bad acting, stupid story lines, unrealistic stunts, really crappy over the top B.S. CGI totally impossible car chases and and a total waste of perfectly good dodge chargers, then by all means, go see it. Personally I think his movie was a huge slap in the face to the original 2001 fast and furious movie. They also had a lot of poorly done throwbacks to the older movies.
" stupid story lines, unrealistic stunts, really crappy over the top B.S. CGI totally impossible car chases and and a total waste of perfectly good dodge chargers "
Yeah, no one expects to see those things in a movie like this. *sarcasm* Was this the first F&F movie you've seen? And none of the cars were CGI. Movies like Furious 7 are made to entertain. Style over substance. And I think it did a pretty good job. If you're going to let things like that bother you, then action films aren't for you. And where's the Lamborghini Aventador that Shaw drove? Shaw also drove an F-Type R Coupe at the very beginning, during his intro. Its seen for roughly 2-3 seconds, so 2 stars. first of all hal, those things don't bother me. they just make me shake my head and sigh at how poor hollywood is getting at their writing ability and story lines. It seems to me your apple cart is upset over my comment. I never said the cars were CGI, i said the action was bull crap. theres no way that the transport bus in the first hijack scene is going to flip over onto its side and drag as far as it did until it goes over a cliff. I highly doubt that vin diesel would be able to twist flip a dodge charger off of a chunk of concrete and barely kiss the ski of a hovering chopper and at the same time manage to hang a bag of grenades off the ski. And if you think that the scene where the 3.4 million dollar Lykan Hypersport crashes through three buildings is real then your just as diluted as the morons who come up with this garbage. I didn't think that the plane jump was fake, just stupid. you know as well as i do that those cars didn't land that perfect and flawless from that hight up in real life. anybody knows this red car in the end of film? Have you ever heard of "suspension of disbelief"? It comes in handy when watching these films. After the race between the R8 and the Barracuda there is a 2009-14 Ford F150 that was used for 2 stars. Also forgot the police Charger and a Ford Bronco in the drone tunnel scene. I thought the Subaru of the warehouse was also a hatchback (supposed to be the same one) but indeed it is a sedan. I added a mention on the page already existing for a sedan Impreza, it does not really deserve a separate page for what is seen of it. When is the Silvia seen? Sorry, I didn't express myself right. The police Charger was not in the tunnel. It was one of the police cars that chase Roman's Caprice in the scene where the drone shoots several parked cars. There's a moment where a BMW 7 (already listed) and what appears to be a Dodge Ram (not listed) explode, along with a lightpole that falls on a police car. That police car is not a Crown Victoria like the others, but a 2011+ Charger, I think. Indeed it is not listed, but I'm not sure there is a better view of it than the one used for the Plymouth. I'll check if there is a slightly better frame. Give me back the Lexus IS XE 20 cause it was easy recognizable as a 2ND gen. IS, that car was been approved and once approved it cannot be removed from the list, definitely not. Fire Truck and ambulance at the end? Definitely a Dodge. Guessing '94-'02. Can see some lettering in the upper-left hand corner of the two-tone tailgate and you can see the Dodge grill when it lands. There's also a BMW that gets blown up along with it. "Mr Statham appears in this movie, and gets to drive a roster of British and Italian excellence. He pilots a 2014 Jaguar F-Type R, a 2008 Aston Martin DB9, a 2010 Lamborghini Aventador, and a 2014 Maserati Ghibli." Lots of people: Finally! Furious 7 is out. Flamethrower guitar guy from Mad Max: That's cute. Fast & Furious 8 will be coming out in 2017, and, according to several sources (including Vin Diesel, it will go "back to it's racing roots"). Supposedly, the same thing will happen with parts 9 and 10, already confirmed. The Fast8 will take part in NY city. 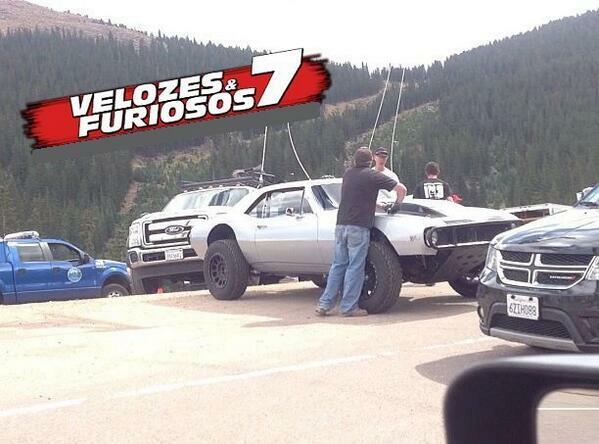 and I read a comment that Vin Diesel told - The Fast 7 was for Paul, and Fast 8 will be from Paul. what it means that scenario was prepared long time ago where Paul Walker used to take a part, who knows but we will wait for release anyway. The exploding truck looks like a Dodge Ram. 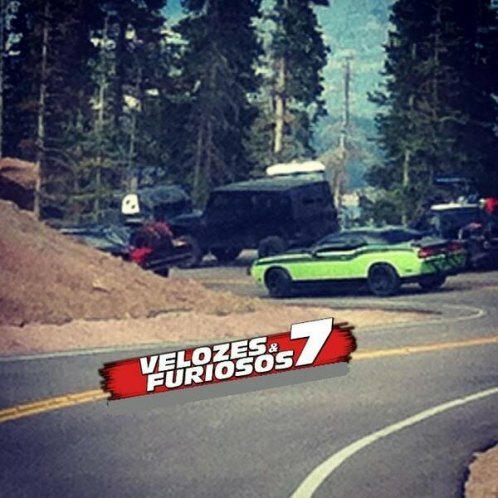 Fast and Furious 8, 9 and 10 confirmed. They said somewhere that they wanted to get back to their street racing roots. (For admins) Is it really worth adding the vehicles in the comment above when they were only seen for a few seconds? Only asking. Usually if they are not either visible for some time, very well visible on the capture or noticeable while watching the movie, they are not really worth listing. If they are in the comments and not added as individual vehicle pages, usually it is because they are not worth adding, but the one who posted the comment thought that it was still worth mentioning it there. If I included them in the comments rather than adding them, it is because they are not really worth re-listing. Also, quoting my whole comment was useless. Furious 7 won two 2016 World Stunt Awards in the Categories "BEST WORK WITH A VEHICLE" and "BEST OVERALL STUNT BY A STUNT WOMAN". The best work with a vehicle scene is that where those multiple cars fight with that bus and they also confirm that all car work in this scene was practical (no CGI). They only used some FX rigs. Trying to post Sean's Nissan Silvia, not working. aolju wrote Fast and Furious 8, 9 and 10 confirmed. They said somewhere that they wanted to get back to their street racing roots.